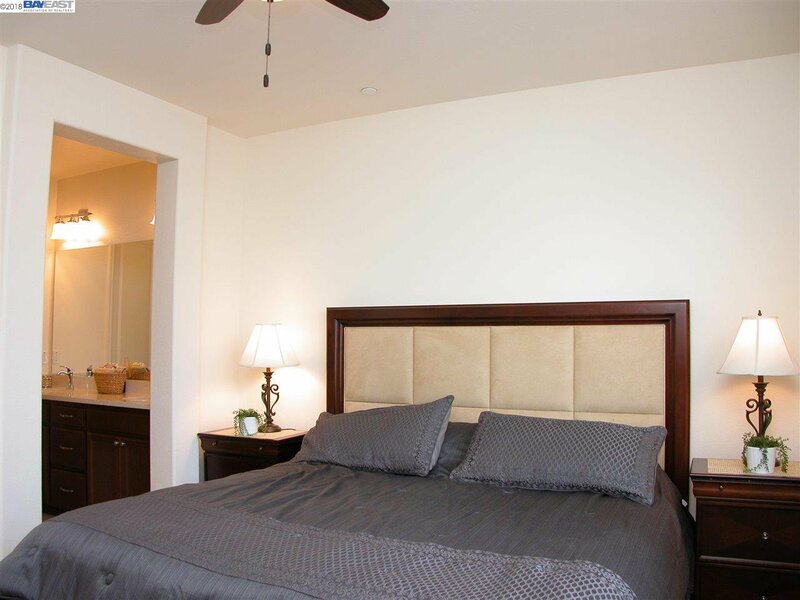 North facing elegant contemporary condo built in 2015. 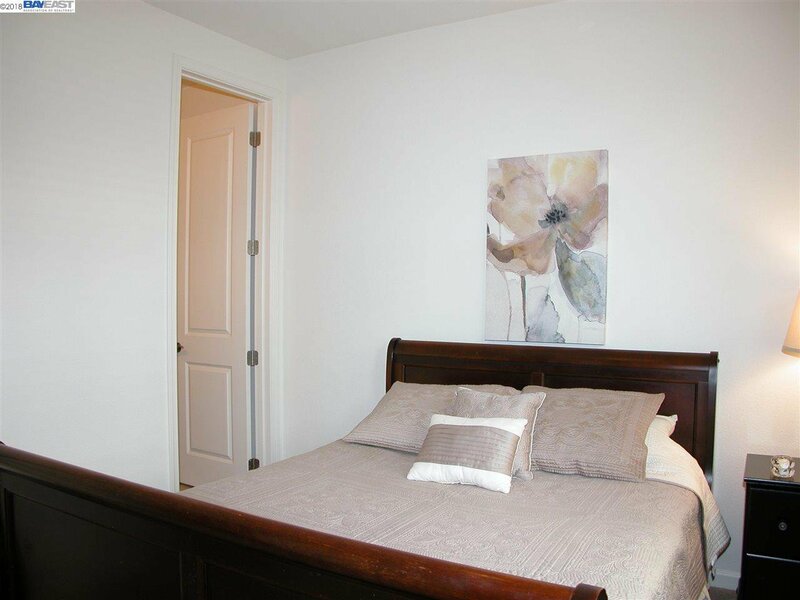 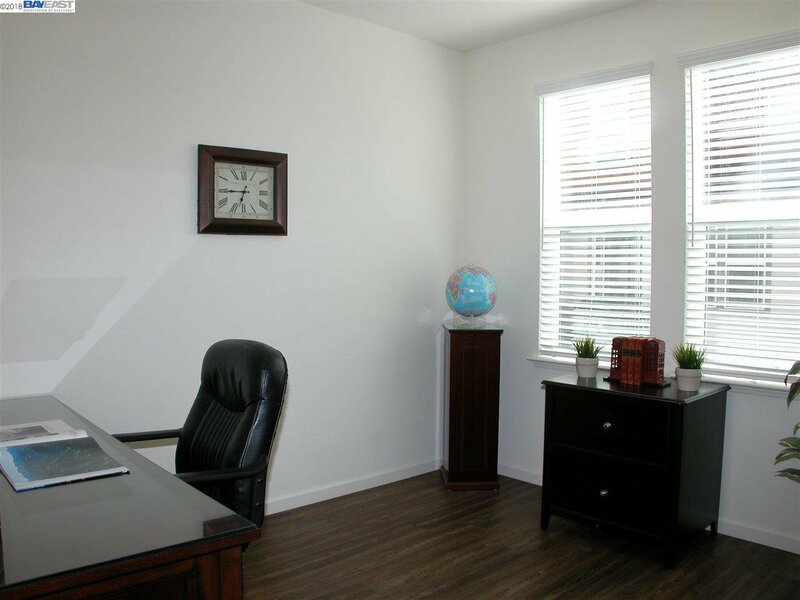 At the entry level you’ll find one bedroom & full bath which may be used as an office, guest room or even a game room, and access to the two car garage. 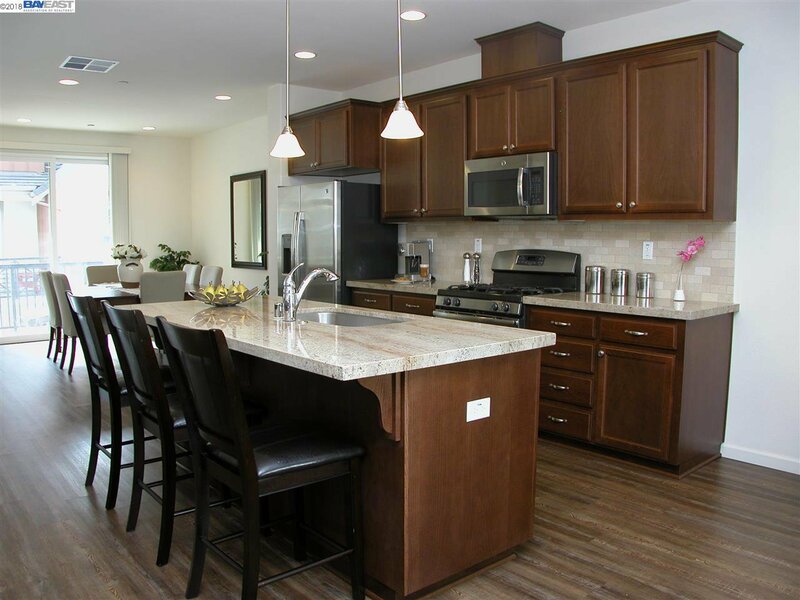 On the second level the large kitchen island provides extra counter space & an informal place to eat. 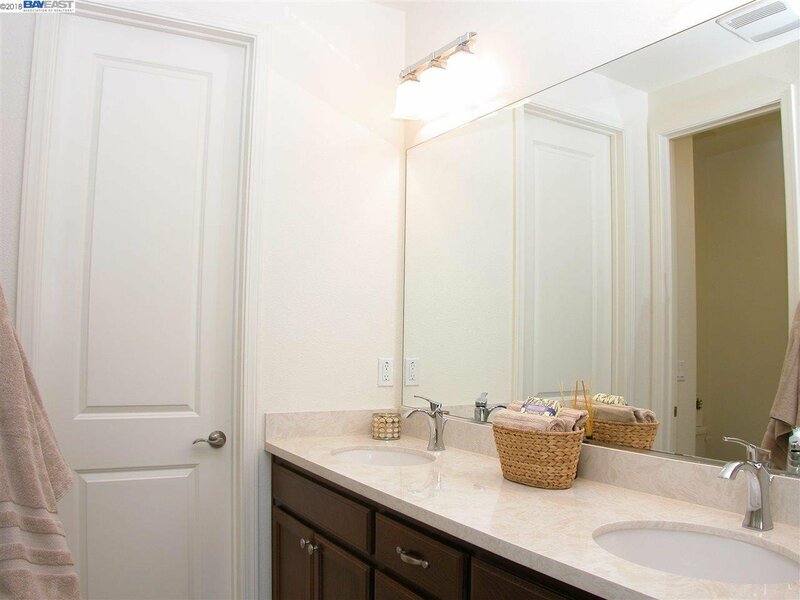 Granite slab counter tops & tile back splash go beautifully with the wood cabinetry. 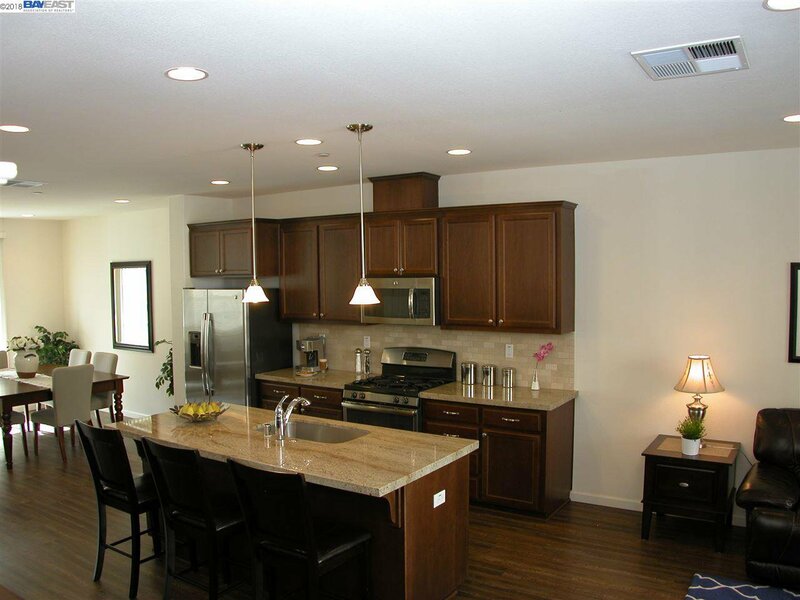 Stainless steel appliances & gas stove complete this modern kitchen. 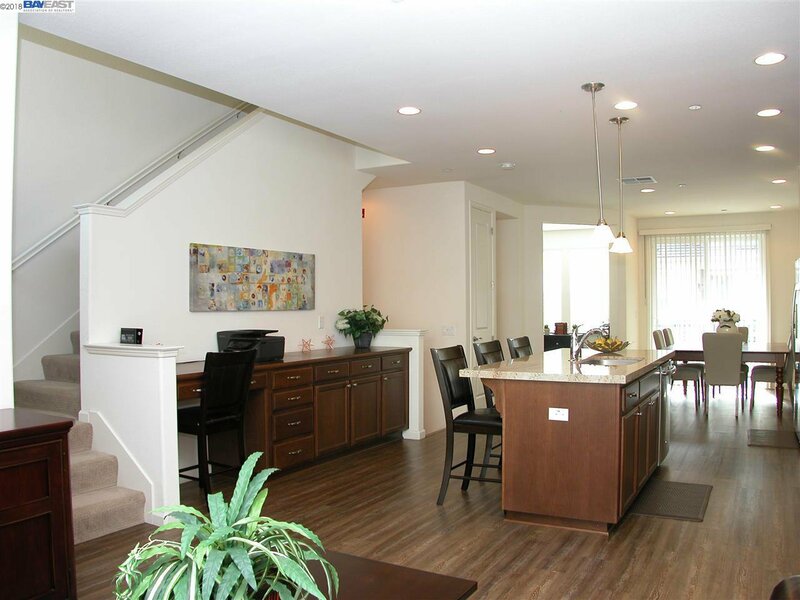 The open concept family room, kitchen & dining area are great for entertaining & include a balcony at each end. 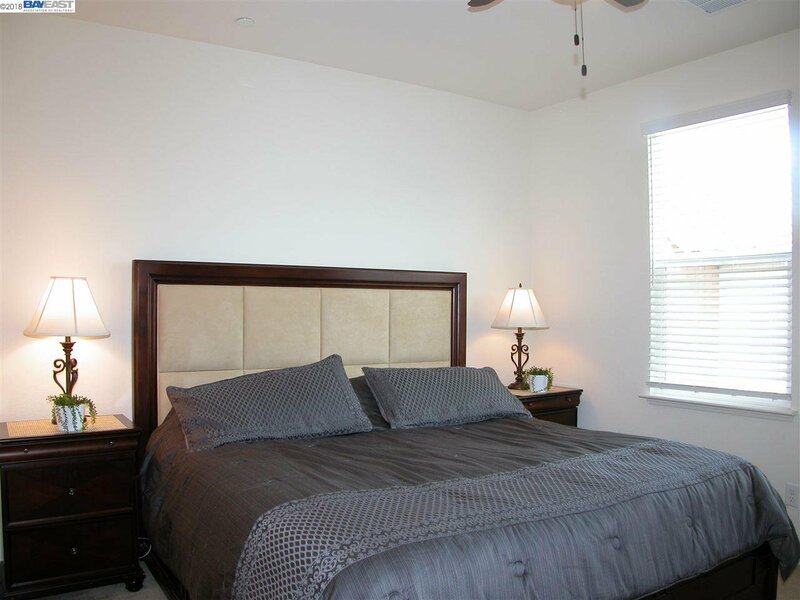 The third level has another bedroom, full bath & master suite. 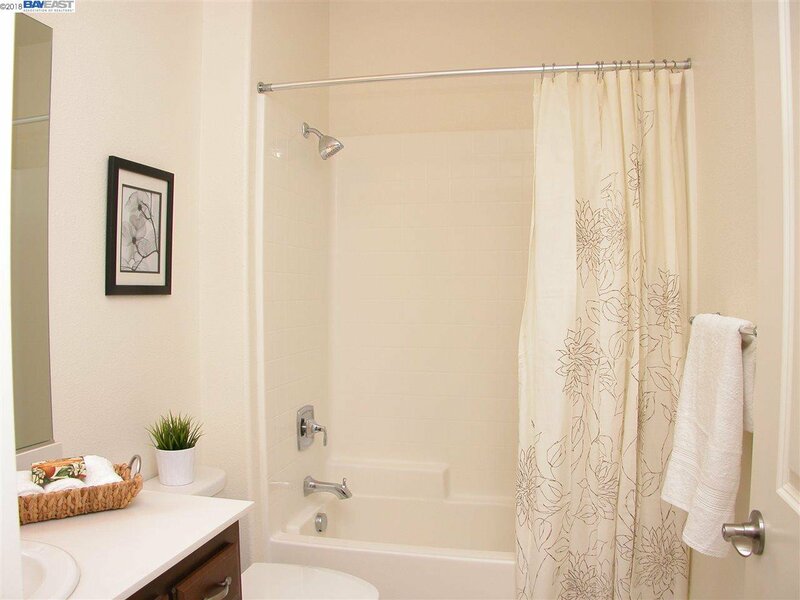 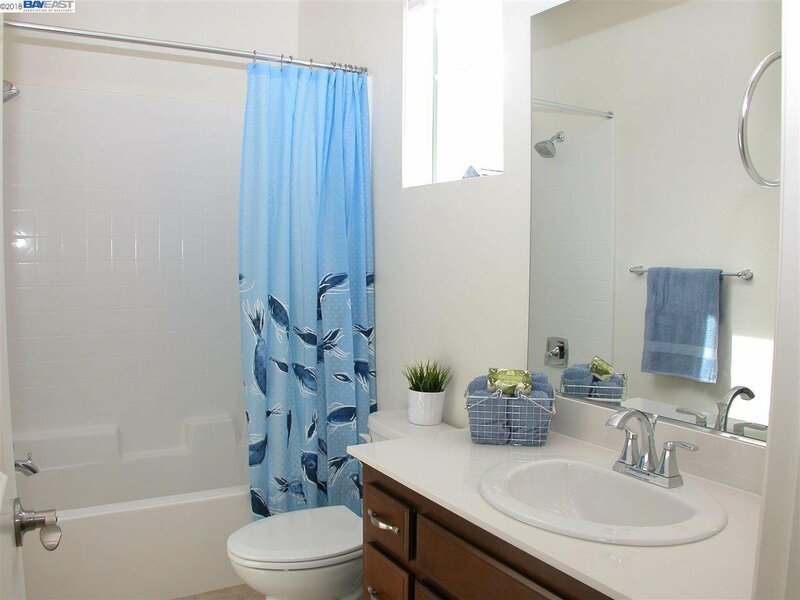 The master suite has a full bath with dual sinks & a large walk-in closet. 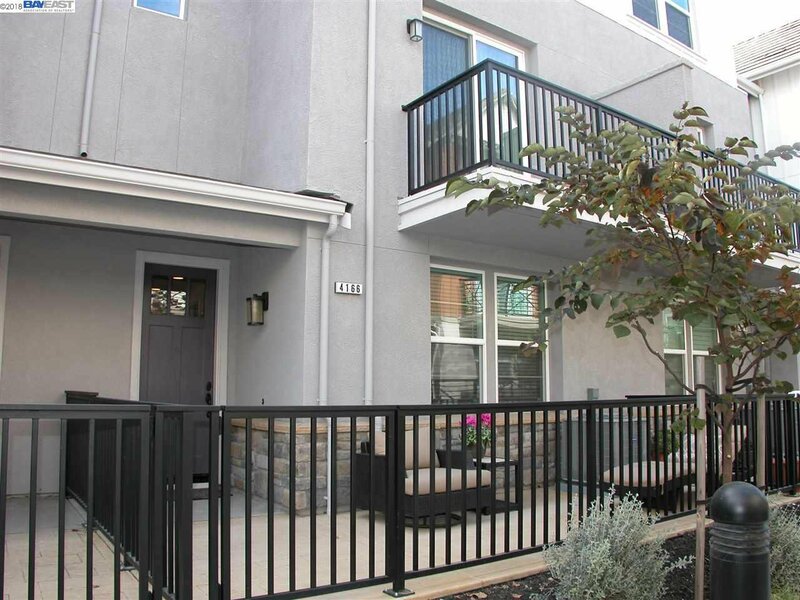 It’s a short walk to the new Cottonwood Creek K-8 school. 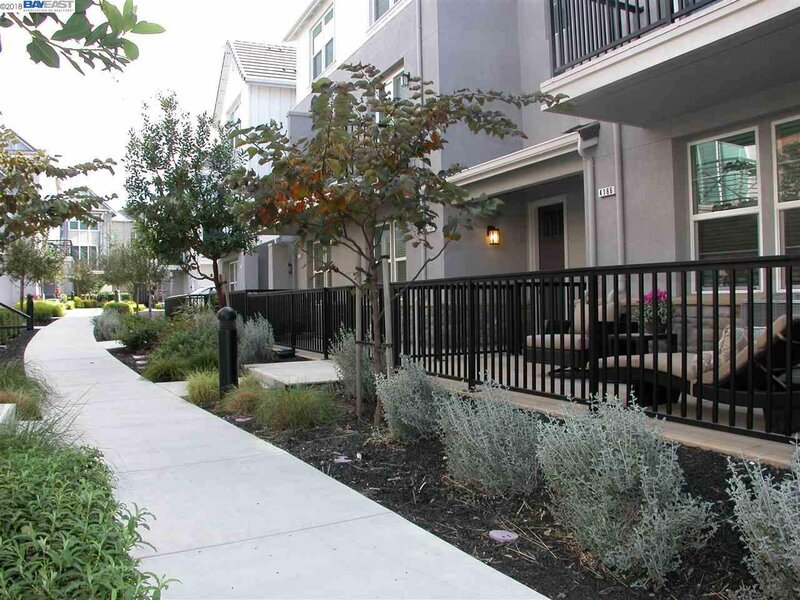 You’re close to Fallon Sports Park, along with Fallon Gateway, Pacific Pearl & Hacienda Crossing shopping centers, & the SF Premium Outlets. 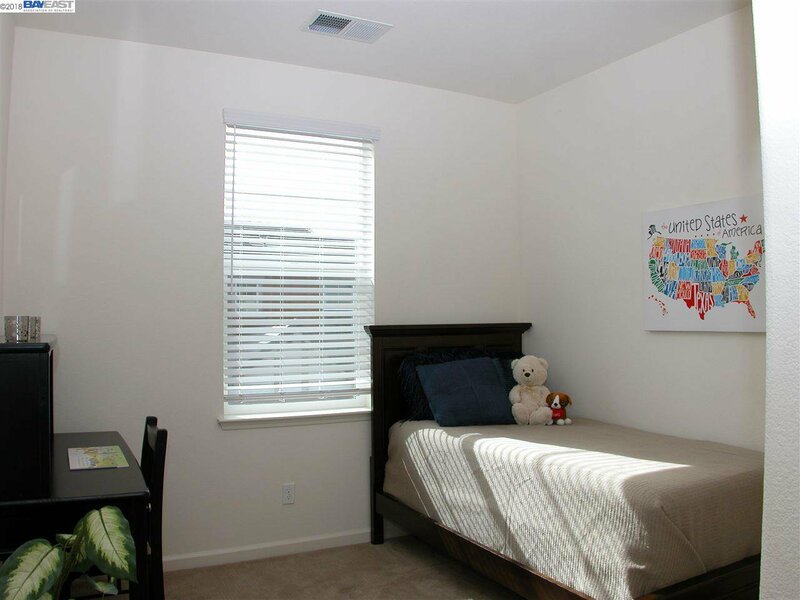 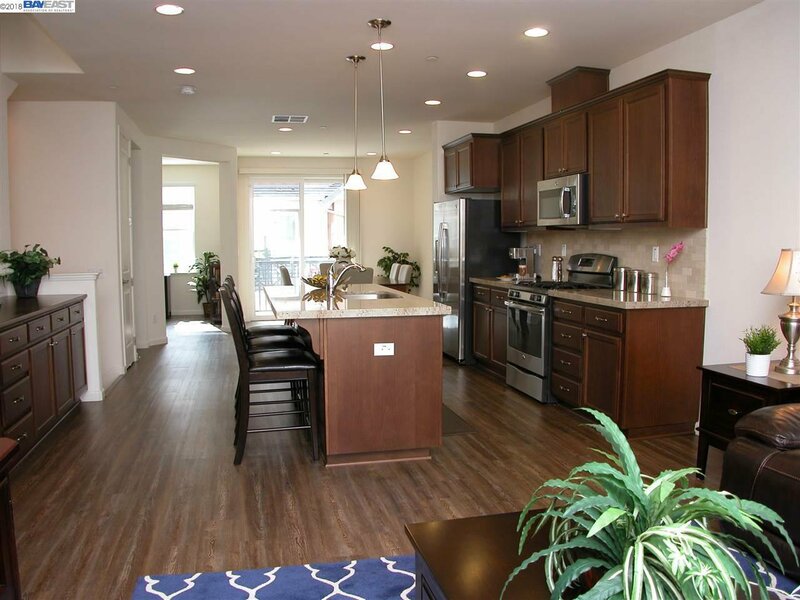 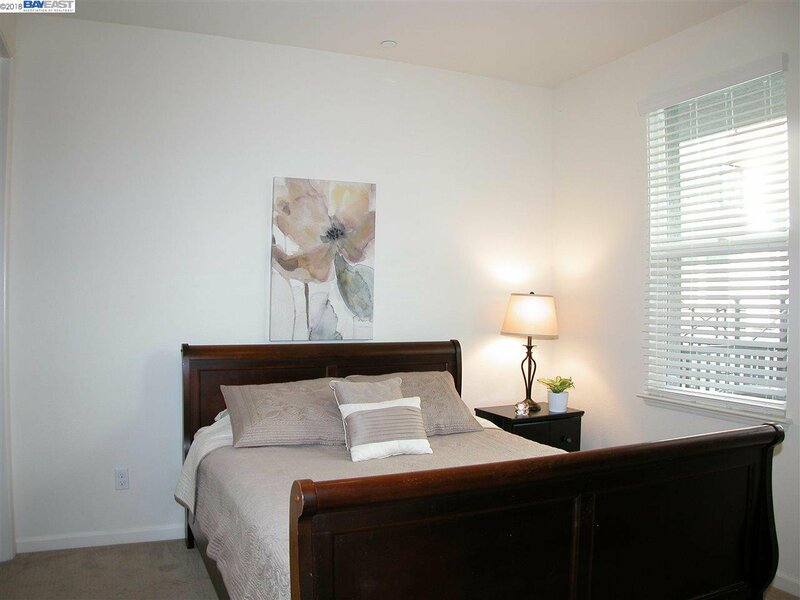 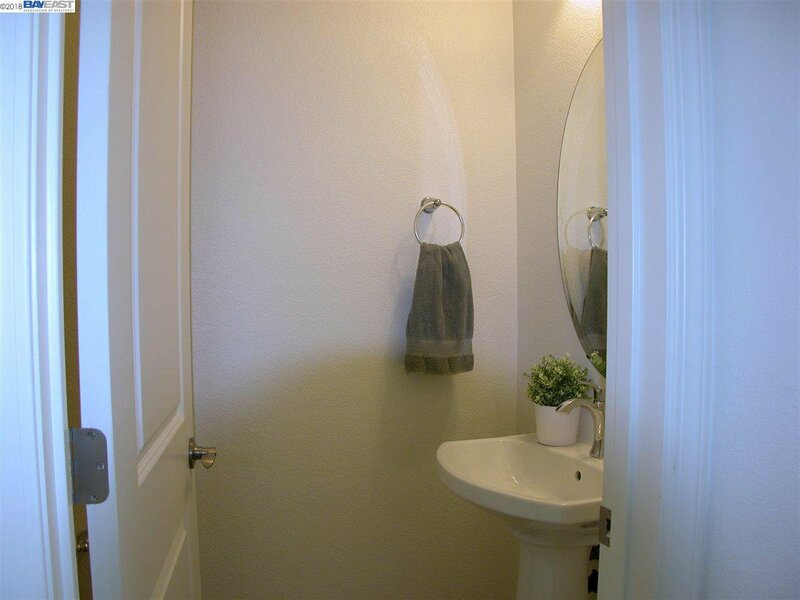 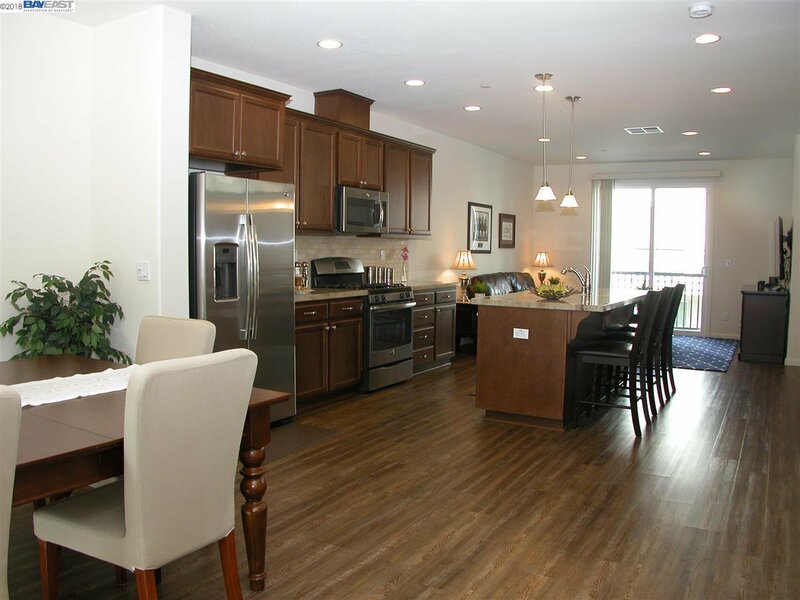 Convenient access to Route 84, 580/680 highways & BART.